The smartphone industry has been going through an evolution to smaller and smaller bezels. This is easy for the side bezels, and somewhat for the bottom bezel too. However, it’s the top bezel that OEMs have had difficulty shrinking as thin as the others. This is because of hardware including the front-facing camera, the ambient sensor, the earpiece speaker, and more. Some have opted for the notched forehead, but then we had Vivo who announced a phone with an automated mechanism to raise up the front-facing camera. 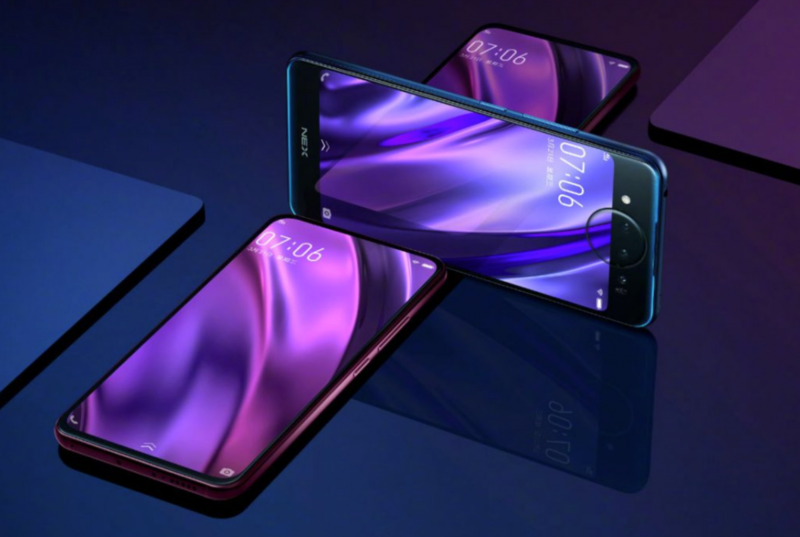 Now, they have announced a new variant of the same device, this time called the Vivo NEX Dual Display Edition, and there’s no need for the automated camera mechanism. Due to the rise in popularity of the selfie these last few years, a smartphone is dead in the water if it doesn’t come with a front-facing camera. This has been the reason for the traditional notch and even Samsung’s own style of Infinity Display notches, but it’s also given companies like Vivo, Oppo, Nubia, and Xiaomi a reason to innovate. Each has come up with their own unique way of shrinking the top bezel while still including a front-facing camera for selfies. 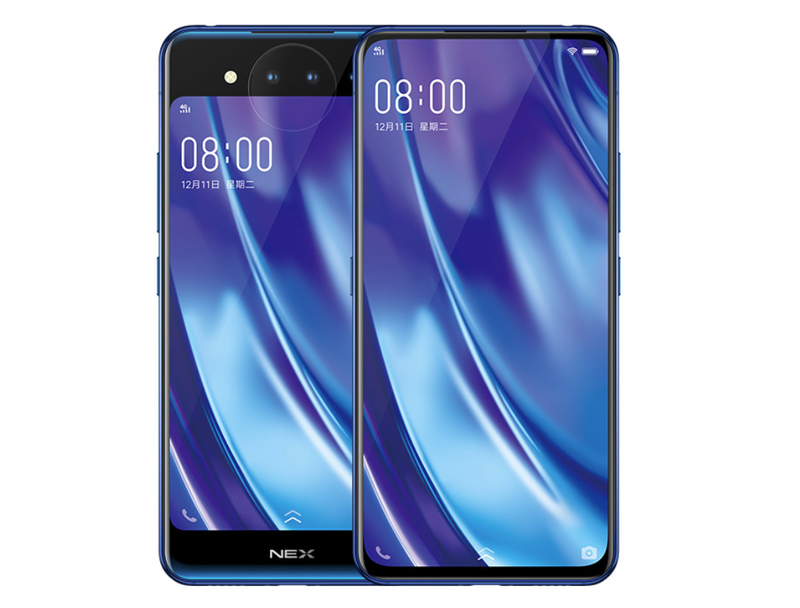 However, now we have the Vivo NEX Dual Display Edition that shrinks the top bezel by not including a camera on the front at all. When you think about it, a front-facing camera is only needed because that’s where the screen is and it allows the user to preview the photo. So this dual display edition of the Vivo NEX excludes the front camera and has opted to put a display on the back of the phone. This way, anyone wanting to take a selfie can just turn the phone around and use the rear-facing camera to take their selfie while still getting a preview of the photo. The company teased this new phone just last week and it’s an interesting concept, but it’s something that has been done with the ZTE Nubia X as well. Vivo hasn’t skimped on the other specs either. It packs 10GB of RAM, 128GB of storage, a 3,500mAh battery, and the Snapdragon 845 SoC. There is also a nifty “Lunar Ring” around the camera that can light up to show notifications or provide lighting for selfies. Those who are interested can expect the Vivo NEX Dual Display Edition to go on sale in China on December 29th for 4998 yuan (which is about $724).